Do great strategic plans really matter? It feels strange to think that I have been working with, and for, boards as a CEO for just over 30 years now. These boards have been credit union support organizations including three state leagues and their league service corporations in Utah, Washington and now Michigan where I have served for 20 of those 30 years. My main focus today is as CEO of CU Solutions Group (CUSG). CUSG provides technology, marketing and HR performance solutions to thousands of credit unions. 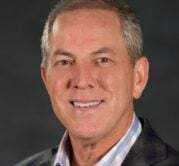 It is owned by credit unions and credit union support organizations, has more than $50 million in revenue, is well capitalized and very profitable. Thousands of U.S. credit unions use one or more of CUSG’s solutions and, most important, CUSG provides great solutions that help credit unions be successful. Products like Performance Pro® and Compease®, Love My Credit Union® Rewards, Save to Win®, Gas Station TV and website design/hosting services are widely known and well appreciated. Our more recent innovations include LifeSteps™ Wallet, a suite of mobile banking enhancements, and our new PlanningPro™ product which helps credit unions organize their strategic and operational plans in a cloud-based software product. Throughout my career, I have taken great pride in the strategic plan framework that we now use at CUSG. It has evolved over the years though all the organizations I referenced, but as I work with my team and boards, I often wonder whether great strategic plans really matter. Do they truly impact future success, or is planning just something that leaders are expected to do so they can check off that box? Conventional wisdom would suggest that every board and their CEOs understand the importance of good planning and well-structured plans. But in my experience, at least in the credit union industry, plans come in all shapes and sizes. Often, they fit the personality of the CEO — those leaders with analytical backgrounds love the charts and graphs. If the CEO has a marketing or operational background, the plans are more marketing and sales oriented. Some like structure and formality and some don’t. Regardless of your plan framework or your leadership bias, here are ten important guidelines to consider in any effective credit union strategic plan. 1. Make the plan CEO driven and board validated. Well yes, I am a CEO, but that isn’t why I think plans should be CEO driven — it’s just a fact. CEOs are hired to set the direction of the organization. Boards are important for validation and endorsement of the plan vision, priorities and success metrics. My individual board members serve as great sounding boards and advisors to help validate my proposed strategic direction. I often make modifications to my team’s plans after hearing their input. An effective board and CEO help each other succeed by performing these roles in a symbiotic way. 2. Start with “why,” and communicate it often. Simon Sinek’s book was a good reminder that good organizations always start with “why” and revisit it often at all levels of planning. Why are we in this business to begin with, and why have we identified these priorities? Make sure that all stakeholders understand these answers too. Translating the Why into a mission or vision statement is important, but then communicating it internally and externally in a clear and frequent manner helps give meaning to the operation. For CUSG, our “Why” is expressed in our vision statement: “We help credit unions serve, grow and remain strong so that we can make an impact on people’s lives.” Our board, employees and customers see that vision statement often, and we try to live it every day. We added the, “so we can make an impact” part based on feedback from our employees. That part of our vision statement resonates most with our team. 3. Establish and institutionalize guidepost or value statements. There are a lot of approaches used for the simple value statements in plans. At CUSG, we call them guideposts, and we have four: Vision, Results, Process and People. These words are pretty self-explanatory but they only matter if, at every level of the company, our managers and employees believe in our shared commitment. The Vision is the Why expressed internally and externally. The Results guidepost should challenge everyone to understand that, at the end of the day, that’s all that matters. Process enhancements challenge everyone to work hard and smart and to not waste time. Focus on People is about culture and caring, rehumanizing the workplace and rewarding performance. 4. Use a matrix approach to simplify your plan visually. At CUSG, we create a simple matrix that, in each of our core areas of operation — technology, marketing and HR performance solutions— express no more than five annual priorities. 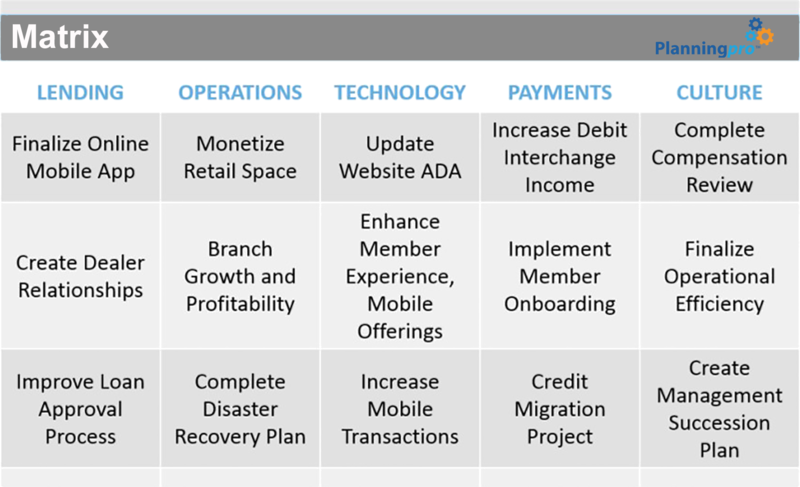 For a credit union, that matrix might have five operational categories such as lending, operations, mobile technology, payments and culture. Then, within each of those five areas, the teams might have five or six priority activities. Not everything needs to be in the matrix, just the things that matter most. And monthly reporting should focus relentlessly on progress updates on those priorities. Putting it all in one place helps everyone see how their role touches the various priorities. It may be appropriate to create a separate “culture driver” matrix to cover things like internal HR, IT, facilities, finance and marketing/sales. 5. Empower unique managerial styles in the more detailed plan elements. Over the years, I have seen the pitfalls of requiring too much structure in plans. It causes great frustration and hinders creativity. Instead, in CUSG’s management meetings, we encourage managers to report on their priorities in whatever form they wish. But we encourage constant reinvention and metrics that help demonstrate if we’re succeeding on those priorities. To a great extent, however, every manager is free to use the process and reporting format that best fits their leadership style. For the board, management just provides regular updates on its top 10 priorities and a simple stakeholder value scorecard. 6. Use Key Performance Metrics (KPMs) judiciously, and make them relevant. KPMs can likewise create a huge amount of frustration in a credit union; sometimes qualitative goals are simply better. For instance, “improving the website mobile banking product,” may not be easy to measure. Don’t force metrics. Instead, require accountability for subjective statements regarding what is being done to improve something, and to the extent possible, use data metrics to reinforce those statements. The real point is that metrics should only be used where they truly help measure success. For instance, improving the credit union’s CAMELS indicators has clear value in a plan. But improving our ability to attract and retain top talent, and improving branding, are examples of priorities that are more difficult to measure with KPMs. Forcing metrics can be a huge waste of time and simply create frustration. 7. Stay entrepreneurial by focusing on reinventing and staying nimble. In his book The Road to Reinvention, author Josh Linkner challenges us to disrupt or be disrupted. Reinvention suggests that all core services should be continually scrutinized for improvement at all touch points. For credit unions, most services are commodities. That means that speed, simplicity, service and value can be the true differentiators. But this can only be achieved through conscious focus on reinvention at all touch points in lending and member service interactions. 8. Communicate reporting expectations clearly and often. The often quoted statement, “plans themselves may be useless, but the planning process is indispensable,” is a reminder that the process matters more than the actual reports. That said, managers and staff need to understand what they’re expected to report on, and with what frequency. Keeping it simple and allowing for creativity in reporting style will generally unleash more innovation than a rigid, cookie-cutter approach to reporting. In my experience, there will always be staff who need constant reminders and reinforcement for what is expected, and without that consistent messaging, reporting processes will be frustrating for all involved. 9. Don’t expect a planning lovefest — accountability usually isn’t fun. Planning and accountability are not usually fun. One of my greatest weaknesses is my failure to recognize and compliment successes as opposed to constantly looking for perfection and improvement. But staff also need to understand, just as we CEOs do with our accountability to boards, that excellence comes with preparation and good communication. There is no replacement for the investment of time in preparing to report on plan progress. And although it’s sometimes painful, a good plan progress meeting can serve to lift everyone’s spirits. It shouldn’t just be about making the CEO feel more in control. 10. Find the right planning tool(s) to help create and monitor priorities. Most credit unions use Word documents, PowerPoints and Excel spreadsheets for their plan progress tracking. And while Microsoft loves the emphasis on its Office Suite, all businesses, including credit unions, can benefit from a structured software product to help create plans and then track progress on priorities. This is why CUSG has created a product called PlanningPro. And just as CUSG’s performance product, Performance Pro, is used by more than 500 credit unions nationwide for performance management, PlanningPro is a cloud-based software product that helps organize plans and prioritize tracking in a way that meets the needs of a wide variety of planning styles. Whether a credit union uses PlanningPro or another planning software, having the right technology tool can take a lot of the frustration out of planning and plan tracking. PlanningPro is a versatile product that can actually tie to the Performance Pro product and help the CEO and all management staff more effectively monitor plan progress in a collaborative and efficient way. Turnkey reports can also be easily generated for board meetings so that we CEOs can make powerful impressions with our boards on how we approach planning and results. CUSG has also recently hired Brandi Stankovic as its SVP of Credit Union Engagement and Consulting. Her role will be to create a national network of planning and governance consultants who can use CUSG’s Strategic Advisory Services to enhance their consulting with great products like PlanningPro. PlanningPro is then enhanced by this linkage to high-caliber consultants who help credit unions get the most out of their software investment. 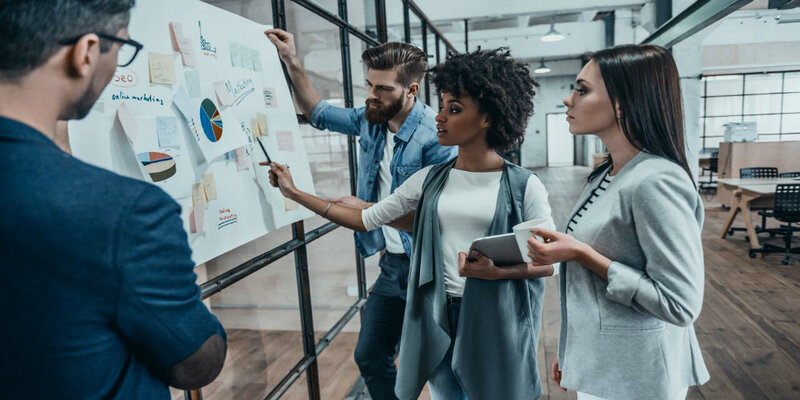 Effective plans and planning processes do matter — like another one of those old planning axioms, “If you fail to plan, you plan to fail.” But organizational excellence doesn’t have to be tedious and frustrating for the board, CEO or staff. Following these 10 principles and using a great software product like PlanningPro can provide a clear roadmap for better plans and more successful credit unions.